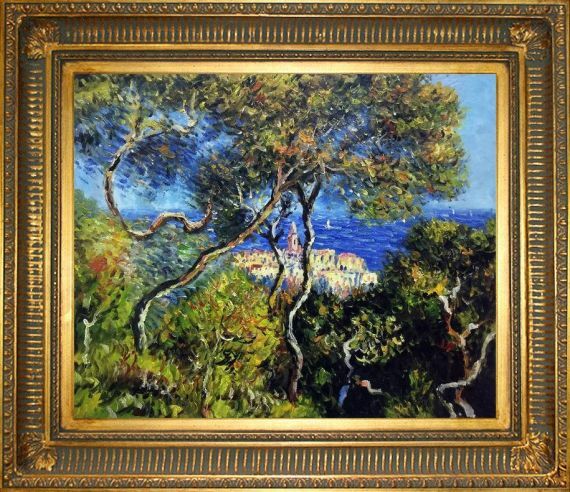 In "Bordighera, 1884", Monet captures the majesty of the Italian coastal town in a way that only he could. 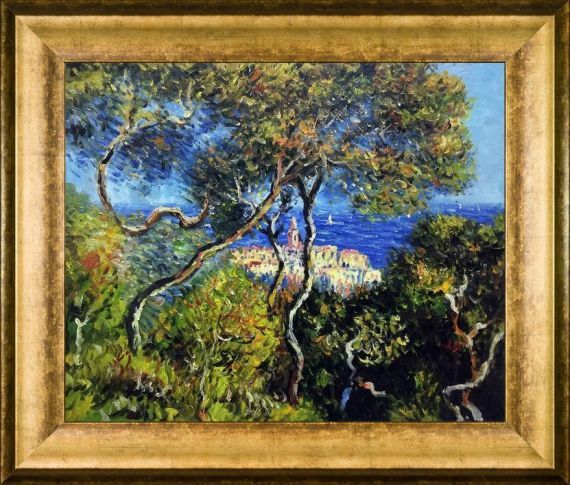 Monet traveled to the area in 1884, and while he loved the Mediterranean light and the unfamiliar vegetation, they often left him frustrated in terms of finding good themes. 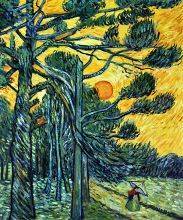 This painting turns the overgrown nature that tormented him into the subject. 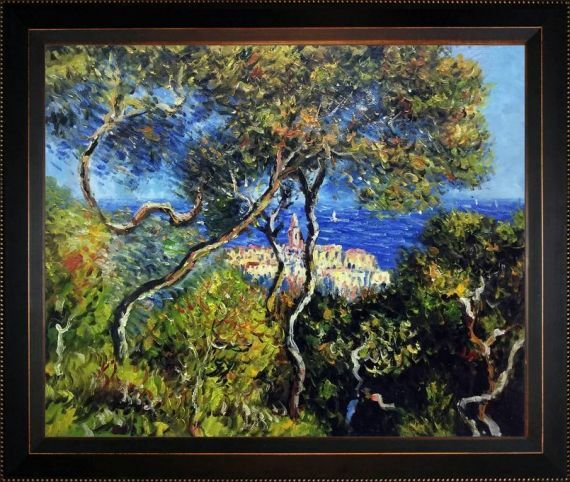 Painted from the hills overlooking the town, the buildings and the sea can barely be glimpsed from behind a swath of pine trees and other local plants. 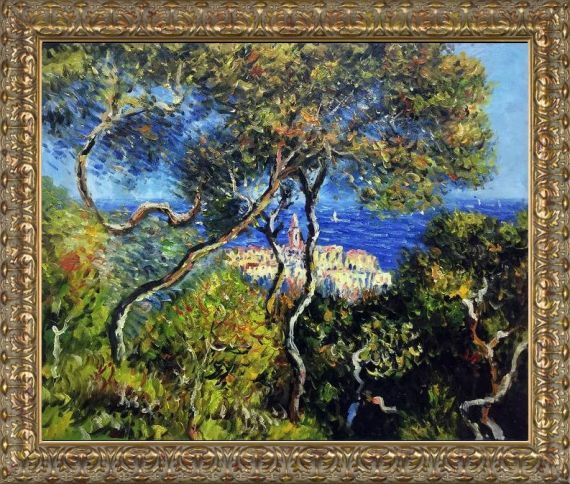 But even despite - or perhaps because of - this obstructed view, Monet brilliantly shows the charming and scenic qualities of the Italian Riviera. 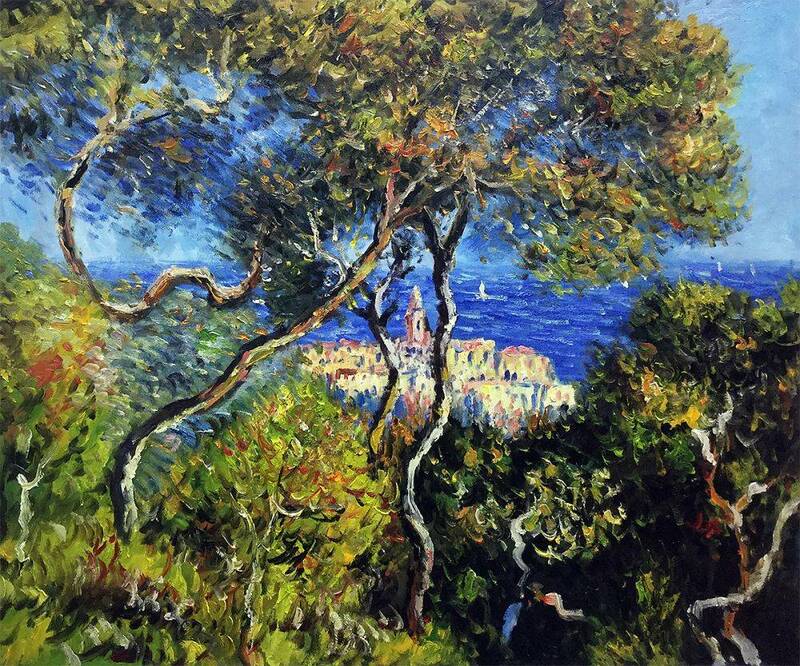 The sunlight that so fascinated him makes even wild growth seem more pleasant and inviting, with the greenery and blue seas forming a cocoon around the town. 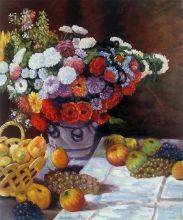 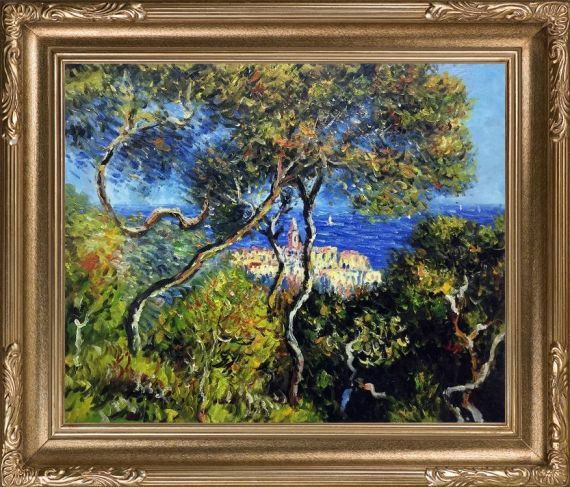 One of many paintings from his trip, this "Bordighera" oil painting reproduction is a picturesque take on the commune that is ideal for those who want to escape even for a little while.